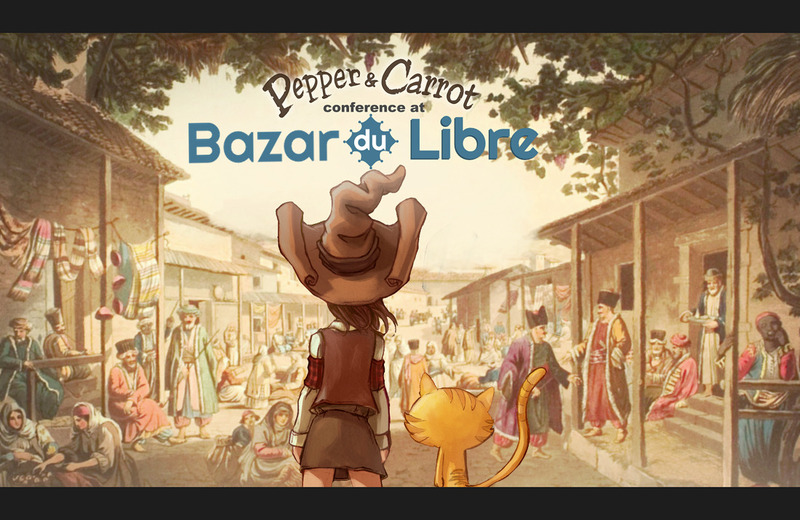 Pepper and Carrot conference will happen ! 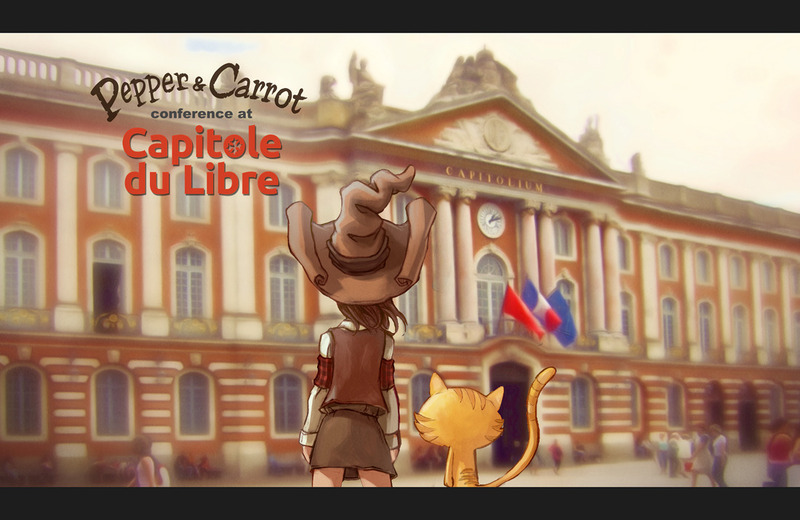 This will be the first and very short conference about Pepper&Carrot (in french). I'll talk about the origin of the project, why I'm doing this open-webcomic, how the project is running and where the project could go. License: CC-BY David Revoy, www.davidrevoy.com, 19 november 2015 . I'll watch the conference when it will be available on video on the Capitole du Libre web site. Toulouse is too faraway. T'auras un peu de temps pour discuter avant ou après la conf ? Ah, chouette que le Bazar ait accueilli ta conf. Tout de même dommage que Capitole du Libre ait été annulé mais comme il y a eu d'autres lieux, c'est pas grave. Dommage que tu n'ai pu venir au bazar. Tu étais tout de même présent dans les pensées puisque l'équipe de FLOSS Manuals Fr à rappeler ta collaboration au booksprint "Blender pour le jeu vidéo" avec "Péril en Daïza". Félicitations aussi pour ton 2è objectif atteint sur Patreon. I am sorry to hear about the extra trouble, but the event sounds really neat. I would also have gone to the Krita animation and open hardware talks. How did the Bazar go?